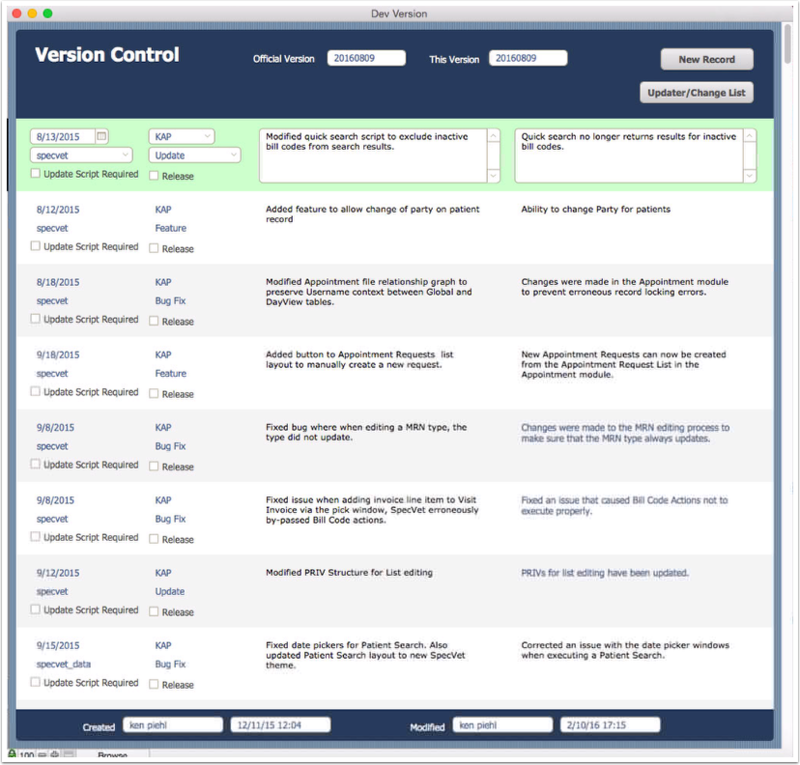 SpecVet Version Control is a system to keep track of modifications made to our code base. Due to the nature of the FileMaker platform on which SpecVet is based, it is very easy to make code changes on individual systems fo remedy problems and add features. The Version Control system is an attempt to keep track of changes and to aid in determining differences between one set of files and another. 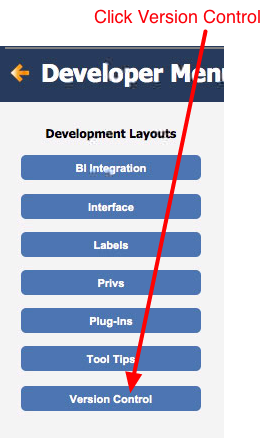 You must be logged into SpecVet using an account with Full Access to access the Plugins table. 2. 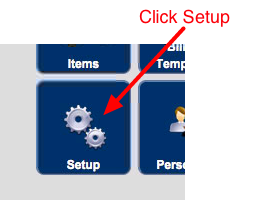 Click the Developer Menu button on the lower right corner of the Set Up screen. 3. 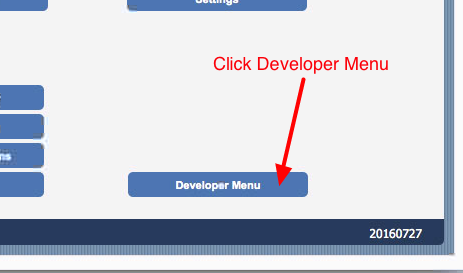 From the Developer Menu, click the Version Control button under the Development Layouts section.